totally true stories | Random moosages as I see fit. Guys. I have a fascination with sinkholes (because they’re generally spontaneous) and other giant holes in the ground, like blue holes and the Door to Hell and excessively deep open pit mines (I once worked at one, but only as a contractor). And I have discovered a giant hole in the ground. Ok, so I did not personally discover a giant hole in the ground. I discovered that it exists. And this giant hole in the ground is really the now inactive Mirny mine, the second biggest open pit mine in the world. The biggest one is the Bingham Canyon Mine (the company that owns this mine also owns the one I worked at), which I actually think looks less impressive than the Mirny mine. 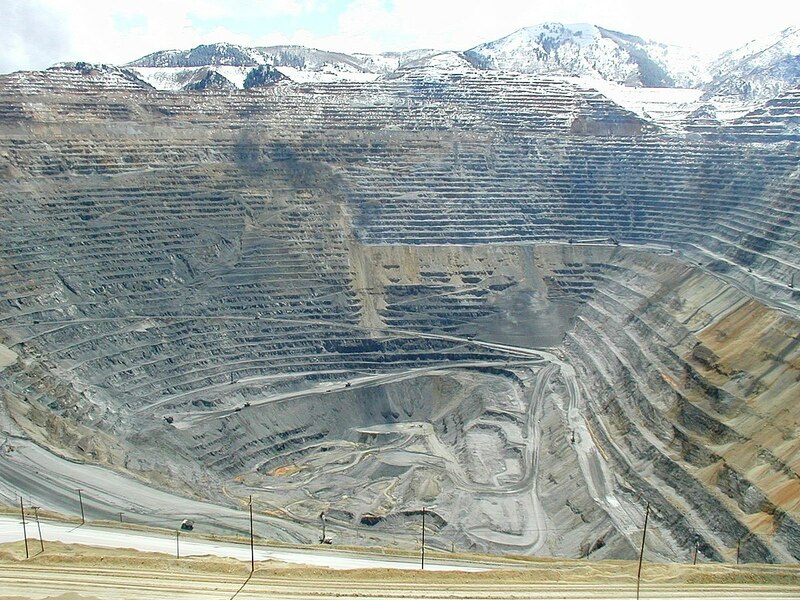 Here is the Bingham Canyon Mine. “Bingham mine 5-10-03“. Licensed under Public domain via Wikimedia Commons. And here is the Mirny mine. “Mirny in Yakutia” by Staselnik – Own work. Licensed under CC BY-SA 3.0 via Wikimedia Commons. They are impressive looking, wot? Especially the Mirny mine. So, both photos show you a giant hole in the ground, but even though you don’t really have the context of the surroundings for the Mirny mine, you can see that the grade into the pit is much steeper than that of the Bingham Canyon Mine. It looks much more like a giant hole than it does a canyon, which is arguably less impressive than a hole. But take a look at these photos here. You can see that there were support buildings pretty much built right up to the brink of the pit. And the hole is just…giant. It’s kind of mind-boggling that there’s this giant hole in the ground that helicopters are apparently not allowed to fly over because the air is too unstable for them to maintain proper flight. I also like the story with the De Beers people only having 20 minutes with the mine to try and solve the mystery of it’s never-ending gem quality diamonds. Um…that was it. I just wanted to show you a giant pit in the ground. You can carry on with your day now.